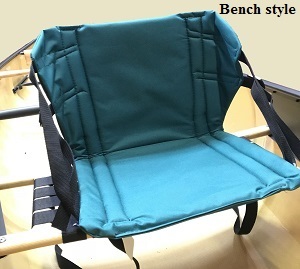 Portable, nylon covered, foam seat with backrest, suitable for kids and smaller adults. IT FLOATS! 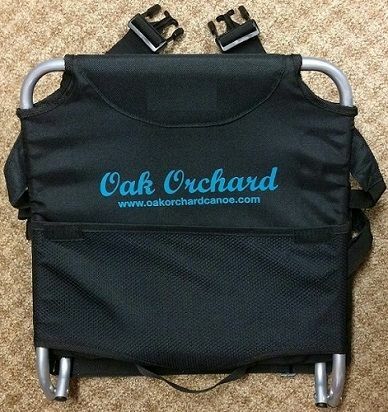 Great in canoes, kayaks or anywhere you need an extra seat. SEAT BASE; 12" Long x 13.5" Wide. BACKREST; 14" TALL x 14" Wide. 34" x 10" overall. Can easily be cut to fit your canoe. 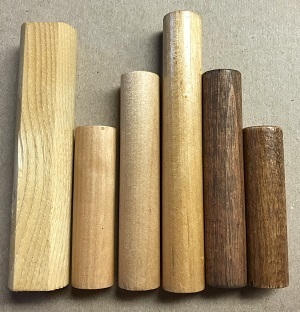 Select Ash stock is 1.5" by 13/16" Made in USA. 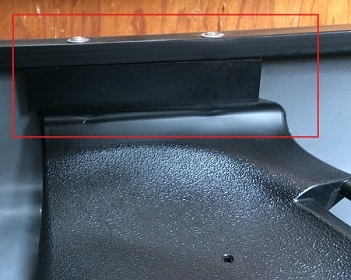 This seat can accommodate seat bolt spacing of about 8 to 9 inches (measured front to rear, center to center). -Lowering the seat with a longer bolt and spacer gives you a bit more wiggle room on that. Made of solid Ash with a clear UV-resistant varnish finish. Assembled with mortise and tenon joinery and West Systems epoxy. Seating area refers to the center portion of the seat. The real deal; from Old Town, Maine. Select Ash stock is 1.5" by 13/16" Made in USA. Assembled with mortise and tenon joinery and a durable UV resistant gloss finish. 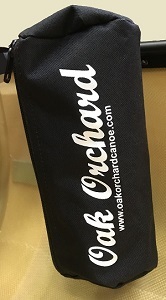 We have different options to fit your OLD TOWN CANOE, such as... Camper, Penobscot, Tripper, Discovery, Pack, Osprey, Guide, Predator, Otca and many other Old Town canoe models. Specify size. Warning; pre-cut seats for specific models are good for canoes made in the last few years. If your canoe is older we recommend you buy 34" or 40" size and cut it to match your particular canoes seat. 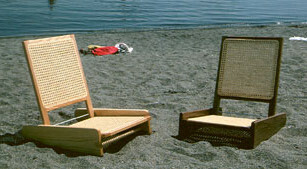 Old Town's seat placement and dimensions have varied from model to model but also from year to year within a given model. Seating area of current style may be too wide to fit in the stern of older canoes, so we offer current and classic styles. 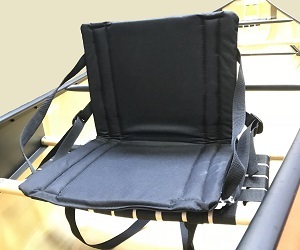 Seating area refers to the middle portion of the seat covered with webbing. Note:Classic 34 inch and 40 inch are available with walnut finish OR clear finish. ALL others are clear finish only. Pre-Cut seats are Current Style only. Made of solid Ash with a clear UV-resistant varnish finish. Assembled with mortise and tenon joinery and West Systems epoxy. Made in USA. Made in USA for Old Town Canoes. Can be cut to fit your canoe. Frame is 1.5" by 13/16" select ash stock. Clear varnish finish. Fits OLD TOWN CANOES such as... Camper, Hunter, Pathfinder, Predator, Penobscot, Tripper, Discovery, Pack, Stillwater, Katahdin, Guide, Otca ...and many other canoe models. Old Town Seats have varied over the years. 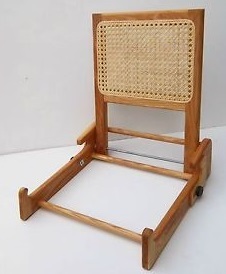 Cane seats can be cut down to fit in classic or current Old Town models. This seat can accommodate seat bolt spacing of about 8 to 9 inches (measured front to rear, center to center). -Lowering the seat with a longer bolt and spacer gives you a bit more wiggle room on that. 40" x 10" overall. Wide seat area (18"). Can easily be cut to fit your canoe width. Select Ash stock is 1.5" by 13/16" Made in USA. This seat can accommodate seat bolt spacing of about 8 to 9 inches (measured front to rear, center to center). -Lowering the seat with a longer bolt and spacer gives you a bit more wiggle room on that. 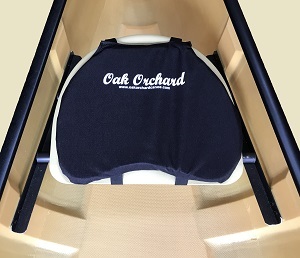 Upgrade your canoe with our comfortable and attractive contoured canoe seat with no sharp edges; a gentle to your bum design. Contoured design lowers your center of gravity for more stability. 34" x 10¼" overall. Seat area is 14" wide. Can easily be cut to fit your canoe. Front to rear center to center is 8 7/8" (for bolt spacing). Made in USA, solid Ash with a clear UV-resistant varnish finish. 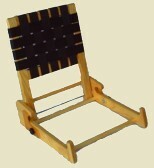 Available with black nylon web seat area for maximum durability OR traditional cane. 34" x 10¼" overall. Seat area is 20" wide. Can easily be cut to fit your canoe. Front to rear center to center is 8 7/8" (for bolt spacing). Heavy Duty construction, wood cross brace underneath in center for extra strength. Made of solid Ash wood. 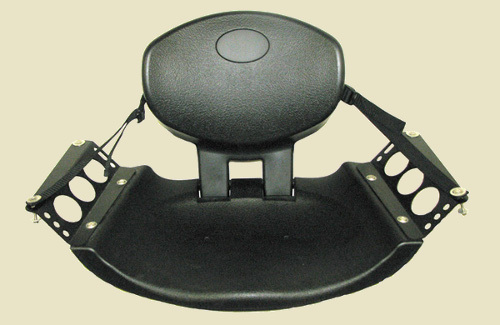 Black nylon web over seat area for maximum durability. WIDE; 37 9/16" inch overall width, straight cut (seat area, 31 1/8" x 10 1/8"). 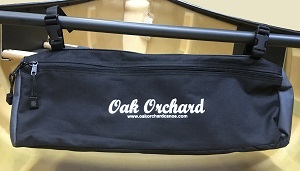 STANDARD; 33" inch overall width, straight cut (seat area, 24 1/8" x 10 1/8"). 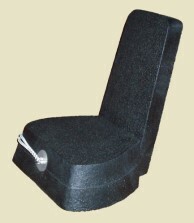 NARROW; 30 1/2" inch overall width, angled cut -shorter side is 27 1/4" (seat area, 24 1/8" x 10 1/8"). X-WIDE; 39 7/8" inch overall width, angled cut -shorter side is 38 7/8" (seat area, 31 1/8" x 10 1/8"). 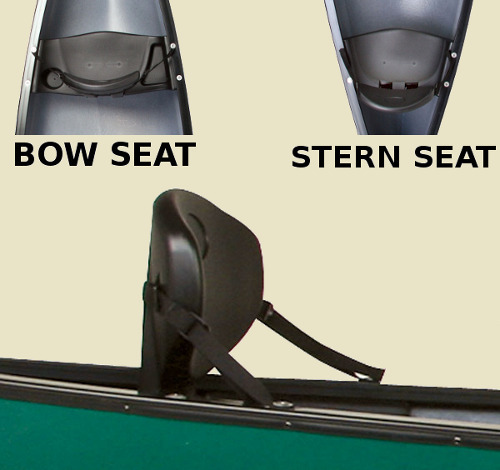 Includes spacers and hardware for one canoe seat. Contains 4 of our Heavy Duty wooden spacers, 4 six inch bolts, 4 cup washers, 4 flat washers and 4 nylon insert nuts. Note: These spacers and hardware that will work with any wooden canoe seat. 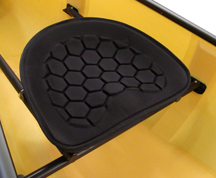 Our Heavy Duty spacers provide more surface area and greater seat stability. Spacer dimensions are 4" long x 7/8" wide x 3/4" thick. It's OK to trim the spacer length as needed for your situation. We recommend 3/4" cup washers for most gunwale materials. 1" cup washers are best for plastic or vinyl gunwales. You may add one to your shopping cart and then revise the quantity you wish to order. Shipping cost is the same for any order qty. Spacers for canoe seats are sold per each. Replace old spacers or Lower your seat for more stability! Wood Spacer, Pre-drilled for a #10 seat bolt. Note: These spacers will work with any wooden canoe seat where the spacer rides on a vertical bolt, in-between the gunnel and seat. 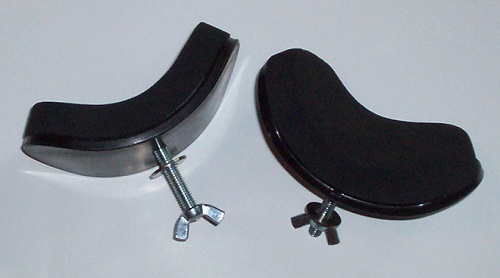 Choose Heavy Duty spacers provide more surface area and greater seat stability. It's OK to trim spacer length as needed for your situation. 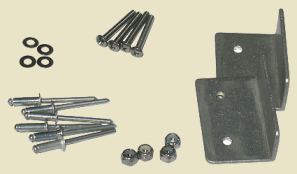 Each set includes one stainless steel bolt, one cup washer, one flat washer and one lock nut. 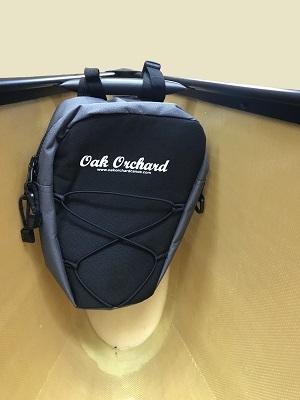 6 inch, 5 inch, and 4 inch sizes are generally used to mount seats from canoe gunwales along with a wood dowel or spacer. 2 1/2 inch and 1 1/2 inch sizes are generally used to mount yokes, thwarts or handles from canoe gunwales. 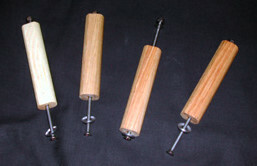 Choose 6", 5", 4" OR 3" bolt. Choose 1" cup washer for vinyl gunwales OR 3/4" for aluminum gunwales. Shipping cost is the same for any order qty. Add a yoke to your canoe or replace your existing one. A yoke adds stiffness and strength, and facilitates canoe carrying. A Yoke is curved to fit behind your neck and on your shoulders so one person may carry the canoe. Canoes less than 16ft generally have a yoke in the center (installed at the balance point) plus one thwart. Those greater than 16ft should have two thwarts in addition to the yoke. This is a high quality made in USA item we have used and sold for several decades! Clear varnish finish. UV-resistant. 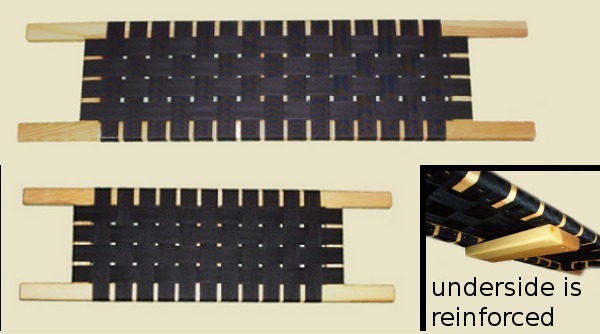 The 36 inch length is easily trimmed to fit in your canoe perfectly. Just seal the cut ends with varnish or exterior polyurethane. 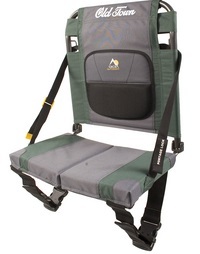 Our Heavy Duty Yoke is wider across the shoulders for extra comfort. Add a yoke to your canoe or replace your old one. A yoke adds stiffness and strength, and facilitates canoe carrying. Up to 42 inch length! Easily trimmed to fit in your canoe perfectly. Just seal the cut ends with varnish or exterior polyurethane. NOTE; the size of Yoke used in a particular Old Town model has varied over the years. We recommend that you measure your canoe prior to ordering. You may order a longer size and cut it to fit your canoe perfectly. Just seal the cut end with exterior grade varnish or polyurethane. Choose 2 1/2" OR 1 1/2" bolt. 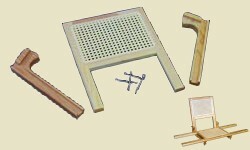 Hardware kit to mount a wood yoke to canoe aluminum gunwales such as Wenonah or Sawyer. The Aluminum bracket is bolted to the yoke and then riveted to the gunwales. 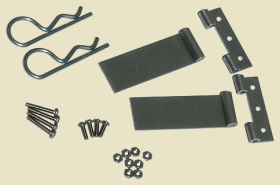 This Hardware kit allows you to use brackets to securely mount one of our wood yokes but it is also quickly removable. The larger yoke bracket is bolted to the yoke and then the smaller gunwale bracket is bolted or riveted to the gunwale. 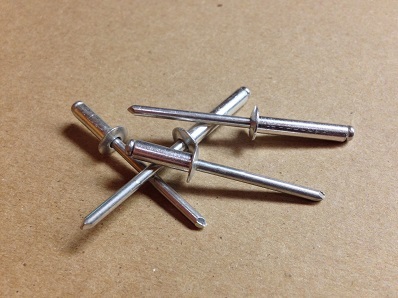 The two brackets are held together by the pin. Gunwale bracket can be oriented horizontally or vertically depending on gunwale shape. Add strength and stiffness to your canoe. Canoes less than 16ft generally have a yoke in the center plus one or two thwarts. Those greater than 16ft should have two thwarts in addition to the yoke. Made in USA solid Ash with clear varnish finish. UV-resistant. 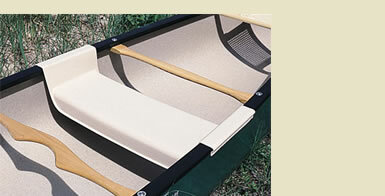 36 inch length is easily trimmed to fit your exact canoe perfectly. -just seal the cut end with polyurethane or varnish. 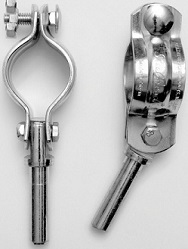 This thwart has a shaped profile with a sealed square end cut (as shown in picture). Add strength and stiffness to your canoe. Canoes 14ft to 15ft long generally have a yoke in the center plus one thwart. Those canoes 16ft or more should have two thwarts in addition to the yoke. Made in USA solid Ash with clear varnish finish. UV-resistant. 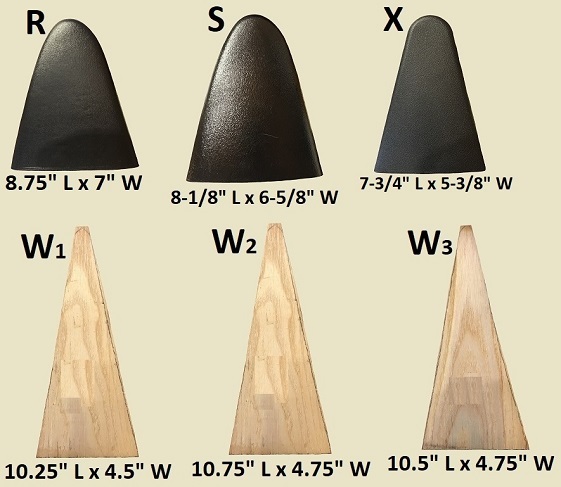 Any of these thwarts are easily trimmed to fit your exact canoe perfectly -just seal the cut end with polyurethane or varnish. 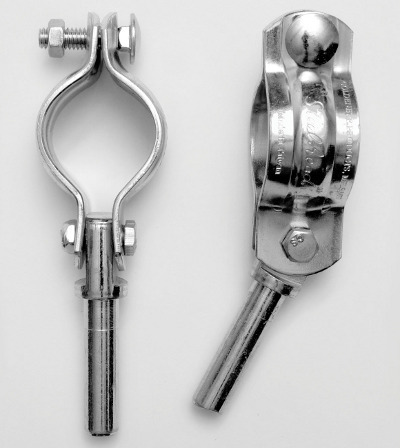 Choose a straight profile thwart OR a shaped profile thwart. Our most popular 36 inch length may have a straight profile OR a shaped profile with a sealed square end cut. 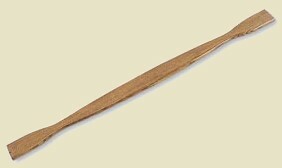 33.5 or 39 inch lengths have a straight profile and a sealed square end cut. 32, 32.5 and 34.5 inch lengths may have a shaped profile and a sealed tapered end cut. The real deal; from Old Town, Maine. 1" thick select ash stock. Clear varnish finish. Made one at a time with a durable, UV resistant gloss finish. Fits OLD TOWN CANOES such as... Camper, Penobscot, Tripper, Discovery, Guide, Predator, Otca and many other canoe models. Most models use a shaped or contour thwart (from overhead view). Pack and Discovery 119 models use a straight, not shaped thwart. 32 and 32.25 inch Lengths are the measured to the longest point (ends are angled). Not sure? order a longer size than you need and cut it down to the exact length and angle you need. Seal the end cut with polyurethane or marine varnish. NOTE; the size of Yoke used in a particular Old Town model has varied over the years. We recommend that you measure your canoe prior to ordering. Old town no longer makes some sizes so if you don't see your size here check out our Heavy Duty Thwarts. They work great in Old Town Canoes. You can order a longer size and cut it to fit your canoe perfectly. Just seal the cut end with exterior grade varnish or polyurethane. Install a solo paddling station without the weight and size of a seat. Lightweight outfitting option for solo paddling a tandem canoe. Beautiful solid Ash construction with contour edges for comfort. 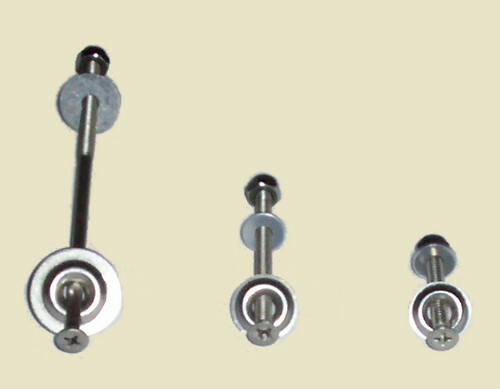 Includes stainless steel hardware and wood spacers. Easily cut down as needed to fit your canoe. 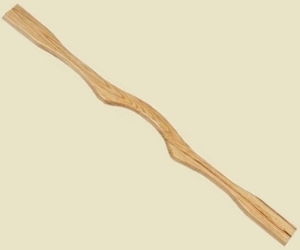 One handle. You can modify qty in your shopping cart. Choose handle: 8 or 12 inches. 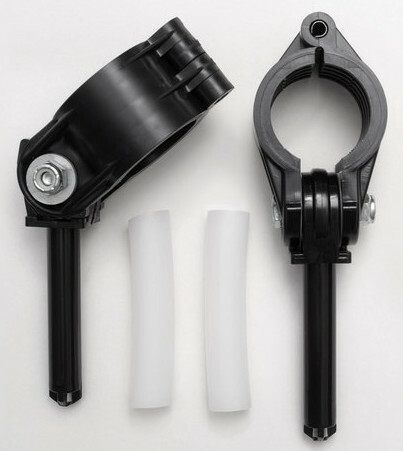 Attaches by Velcro loop to a yoke, seat, crossbar, thwart or handle in a canoe. 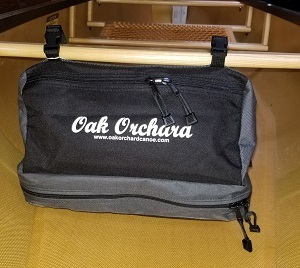 Holds many items secure such as your fishing rod or paddle. Quickly attach, secure or release with double Velcro loops. 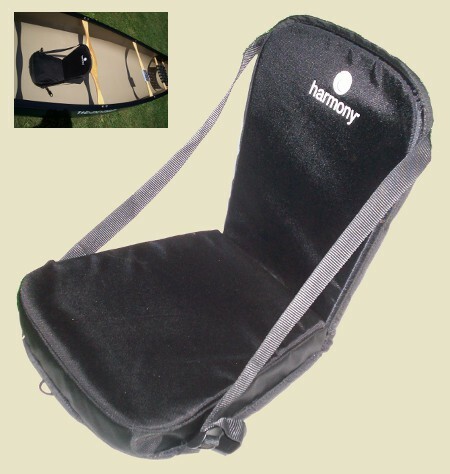 Portable Foam seat, for passengers in the center of any canoe. 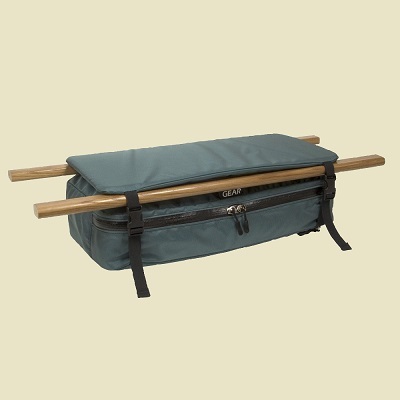 A popular option for our SportsPal and Raddison canoes (may be used in any brand canoe). 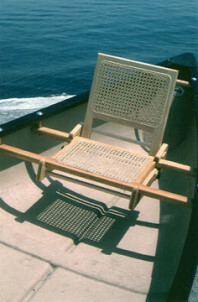 This seat is designed so you are sitting at the proper height for rowing from the center of your canoe. 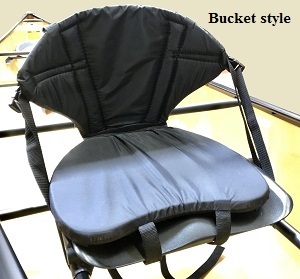 Makes a great kids seat in a canoe or large cockpit kayak. 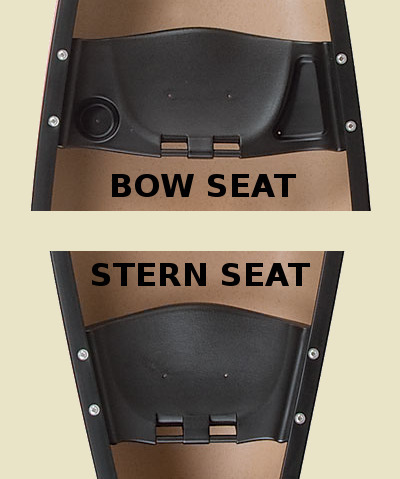 Stows neatly in bow when not in use (SportsPal & Radisson). 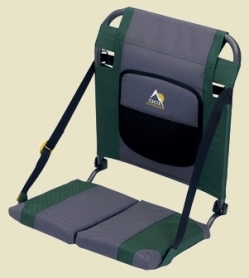 Specs; 15" overall width, 17.5� overall height, seat is 5" off floor. 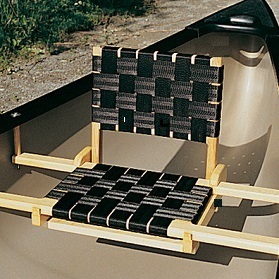 A quick and temporary way to add a seat for a third person, or to paddle a tandem canoe solo. 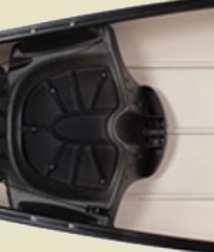 Aluminum cross-bars with vinyl rings rest on the gunwales with angles that hook to the outside. 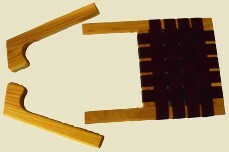 Ethafoam padded seat. Yes, it floats! Cross-bars telescope to fit most canoes with 30-38" max width. Still made right in the Old Town Canoe factory; the snap-in seat is innovative in design and produced with pride in craftsmanship. Made of heavy-duty ABS plastic and molded on state-of-the-art machinery, the snap-in seat is an easy answer to the canoe seating problem. 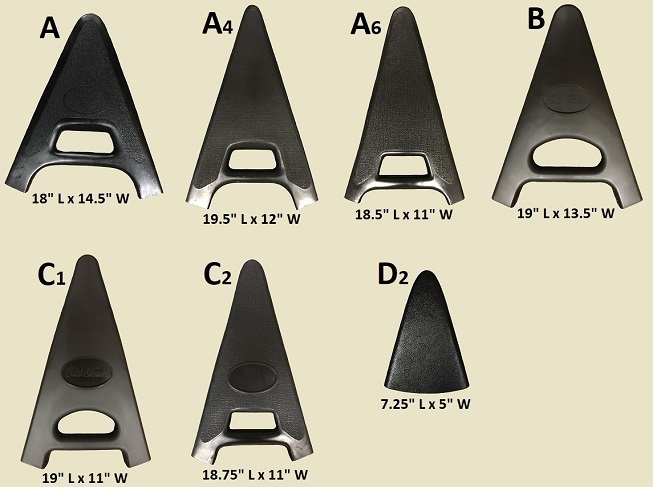 Choose from End Cap type A, B, C or D to fit your Old Town Canoe. End Caps are sold per EACH; so order one for each end of your canoe. Don't see one like yours? -give us a call. Type A; classic "Sport" end cap -fits Appalachian, Osprey, Discovery 133 or Predator 133. Type A4; classic "Charles River" end cap -fits Charles River models. Type A6; classic "Penobscot" end cap -fits Royalex Penobscot 16 or 17 with aluminum gunwales (not vinyl gunwales). Type B; "Sport" end cap -fits Guide 147 + 160, Discovery Sport or Predator 155 ss, Rockport, Rouge River Rouge 14, River 154, Saranac 146, Saranac 160. Type C1; new "Recreation" end cap -fits Camper 15 +16, Pack, Pack Angler, Tripper 172, Tripper XL and Discovery 169. Type C2; new "Discovery" end cap -fits Discovery 119, 158, 164, and 174. Also fits Penobscots with Vinyl gunwales (not aluminum gunwales). Type D; new "Stillwater 14" end cap -fits Stillwater 14. Type D2; new "Stillwater 16" end cap -fits Stillwater 16. 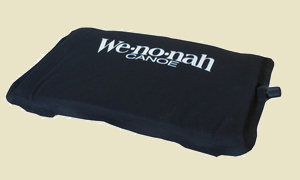 Choose from End Cap type R, S, X, Y or W to fit your Wenonah Canoe. Type R; "Wee Lassie/Fusion" end cap -fits Royalex or Kevlar Wee Lassie, Royalex or Kevlar Fusion. Type S; end cap fits the Royalex Saranac. Type X; end cap fits the Royalex, Kevlar or Tuff-weave 14ft Fisherman. Type X; end cap fits these Royalex models: 14ft Fisherman, Aurora, Adirondack, Heron, Champlain, Spirit II. Type Y; end cap fits these Kevlar or Tuff-weave models: Aurora, Adirondack, Heron, Champlain, Spirit II. 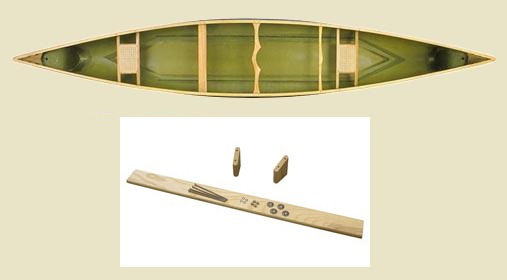 Choose from type N, M, L or P to fit your Canoe. 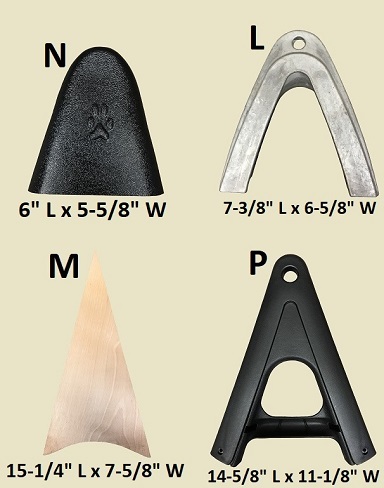 Type N; "Bell/NorthStar" end cap -measures 6" L x 5-5/8" W.
Type M; "Mad River" Wood Deck -measures 15.25" L x 7-5/8" W.
Type L; "Coleman" -cast aluminum end cap; -fits classic Coleman canoes. 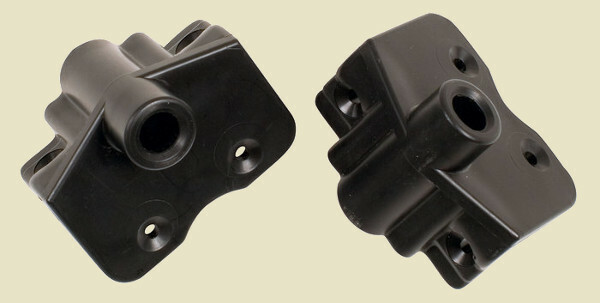 Type P; "Pelican" -black plastic end cap; -fits many Pelican canoes. You'll need some Old Town Rivets to install your replacement Old Town Canoe End Cap. End caps shown above use 10 rivets (5 per side) for each end cap. Some smaller end caps may use as few as two per side. Pop rivet gun not included.